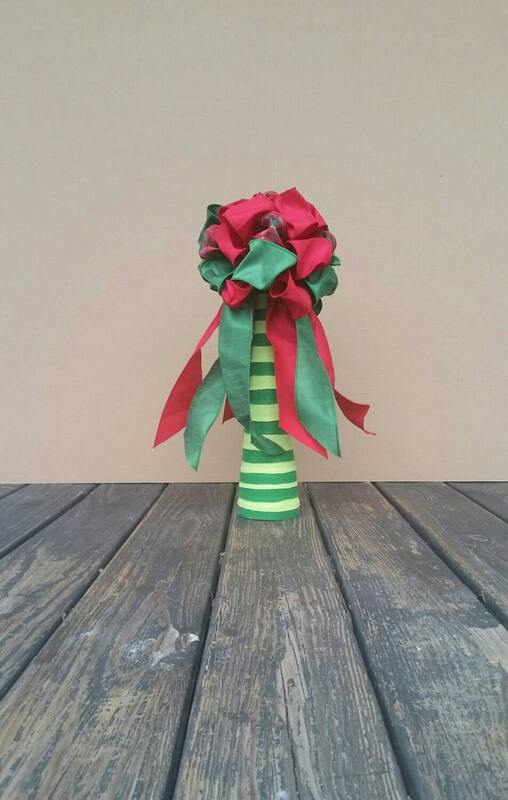 This how would make the perfect bow topper for a small, ornamental Christmas tree. 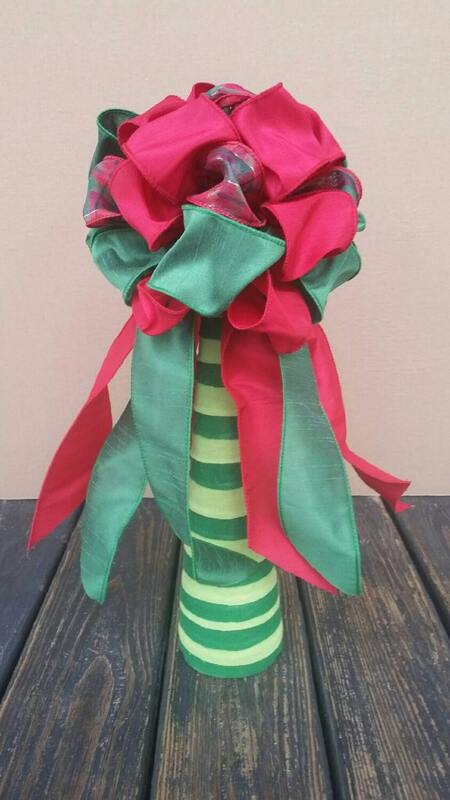 It measures approximately 10 inches wide and 20 inches long. 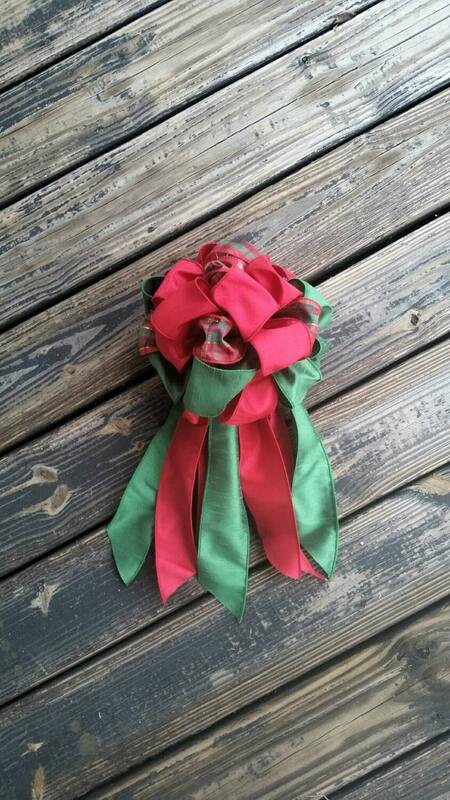 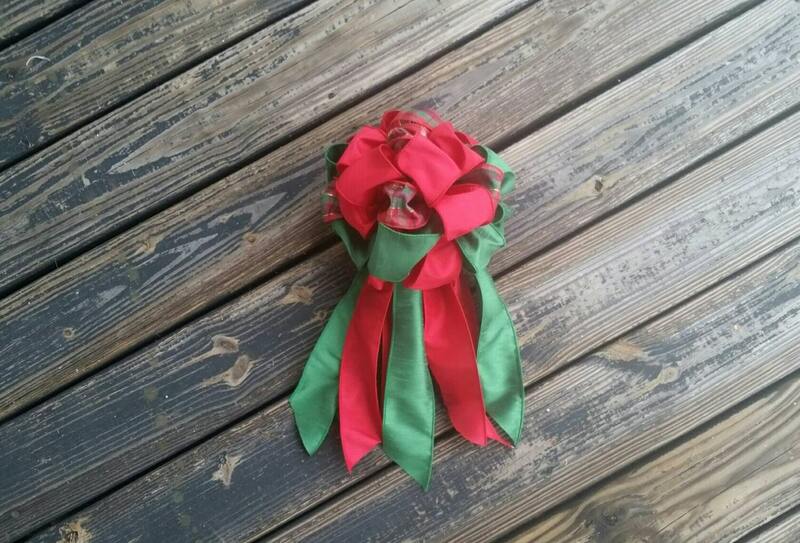 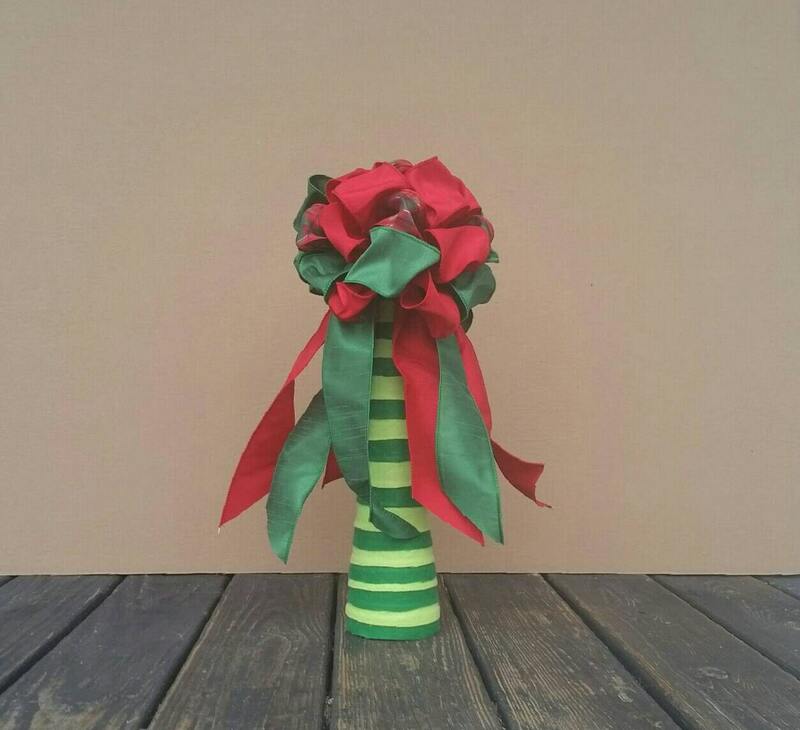 Emerald green, red, and plaid Ribbon was used to create this wreath.